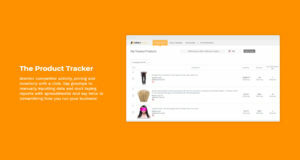 Find Amazon Products You Can Profit From, Fast and Without Guesswork. 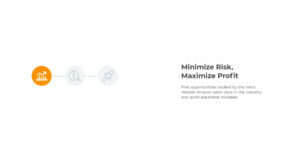 Take the risk out of launching and scaling your FBA business with Jungle Scout’s Web App and Chrome Extension! Give yourself an unfair advantage and find profitable products fast. Find lucrative niches and products across the entire Amazon catalogue. 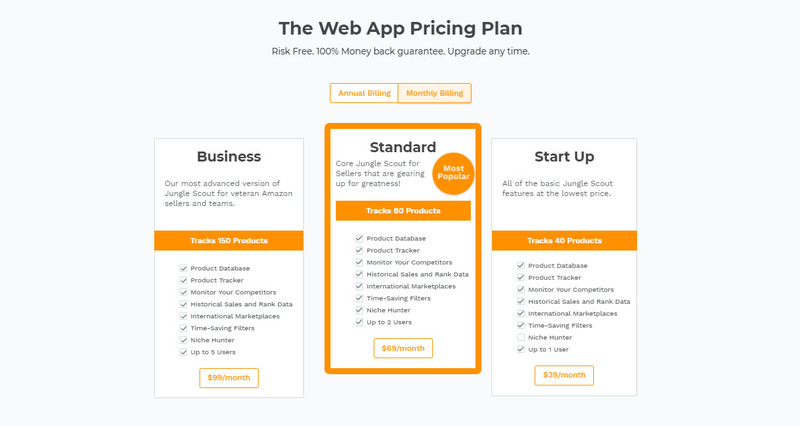 Filter Amazon’s entire database by category, price, sales, and more to find untapped gems you can capitalize on. Plus, track any competitior’s activity over time. Be confident sales are there before you invest. 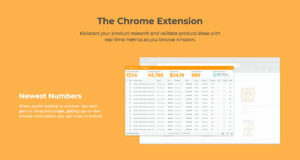 Explore and validate product ideas as you browse. 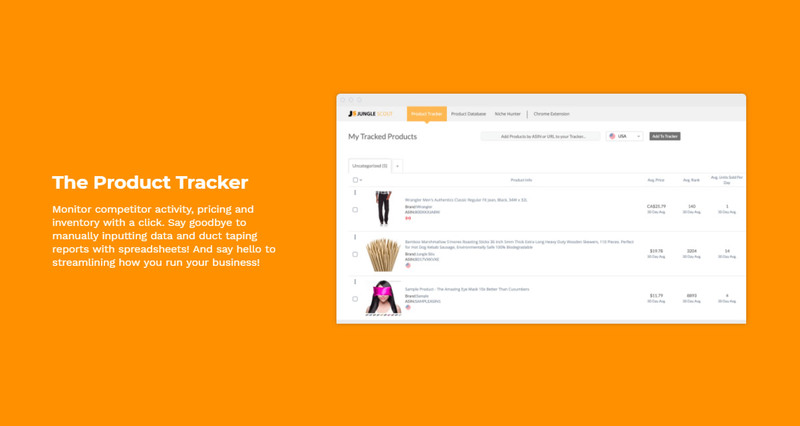 Get instant product insights on any page as you browse.With a click, you’ll see each product’s price, estimated sales, review count and more for an accurate comparison on the fly. 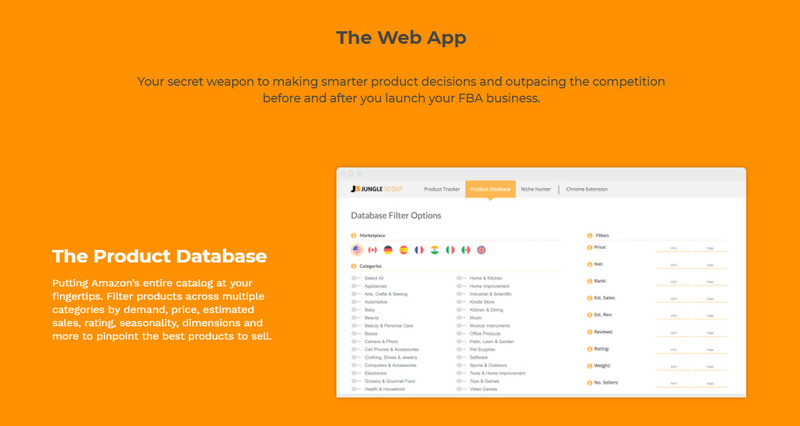 Your secret weapon to making smarter product decisions and outpacing the competition before and after you launch your FBA business. Putting Amazon’s entire catalog at your fingertips. 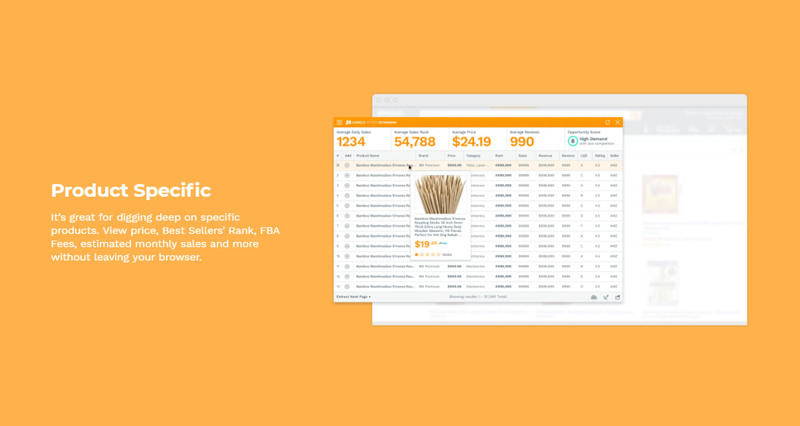 Filter products across multiple categories by demand, price, estimated sales, rating, seasonality, dimensions and more to pinpoint the best products to sell. 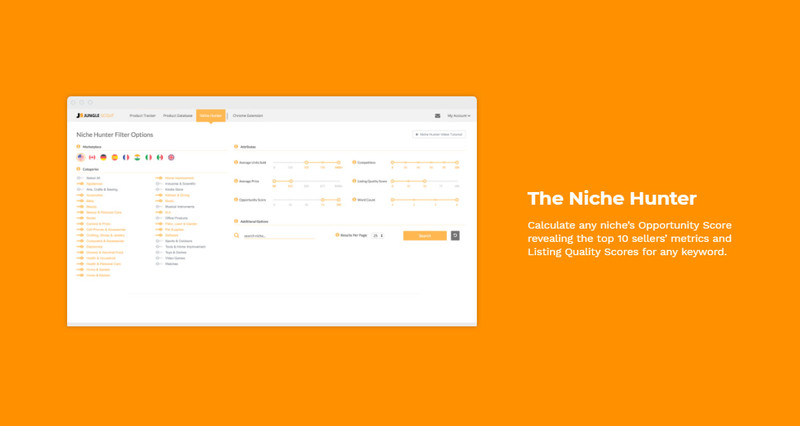 Calculate any niche’s Opportunity Score revealing the top 10 sellers’ metrics and Listing Quality Scores for any keyword. 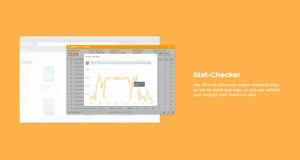 Monitor competitor activity, pricing and inventory with a click. Say goodbye to manually inputting data and duct taping reports with spreadsheets! 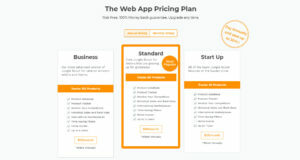 And say hello to streamlining how you run your business! 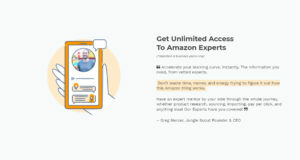 When you’re looking to uncover the next gem in Amazon’s jungle, getting up-to-the-minute information you can trust is critical. The Chrome Extension makes checking stats on the fly quick and easy, so you can validate your insights with historical data. 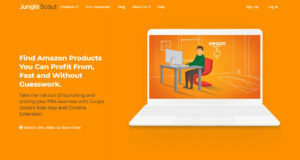 It’s great for digging deep on specific products. 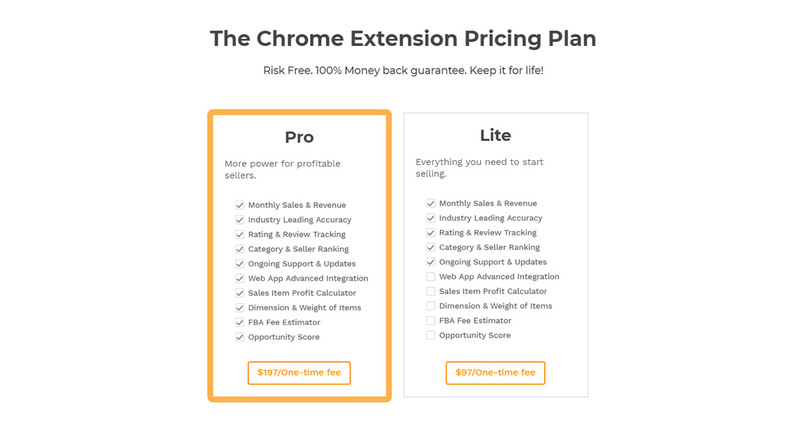 View price, Best Sellers’ Rank, FBA Fees, estimated monthly sales and more without leaving your browser. 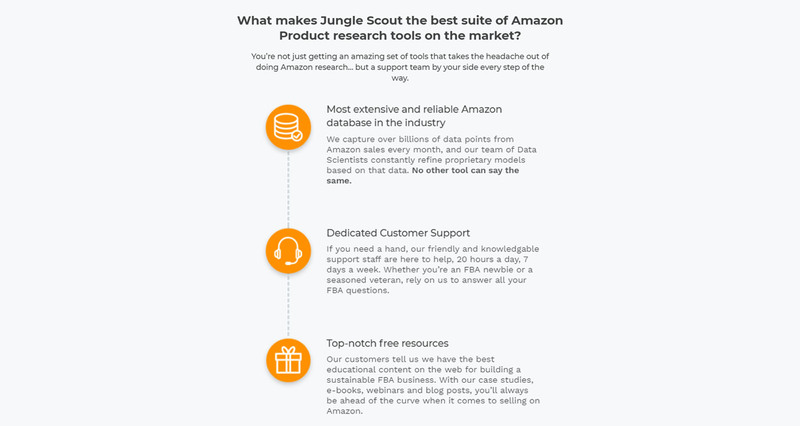 What makes Jungle Scout the best suite of Amazon Product research tools on the market? 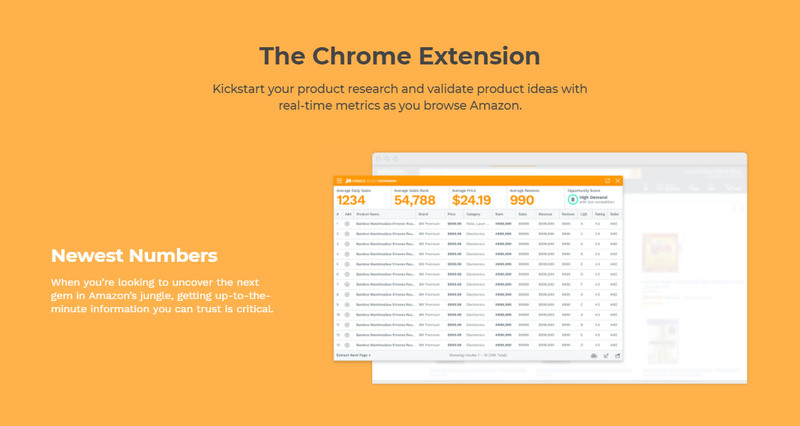 You’re not just getting an amazing set of tools that takes the headache out of doing Amazon research… but a support team by your side every step of the way. 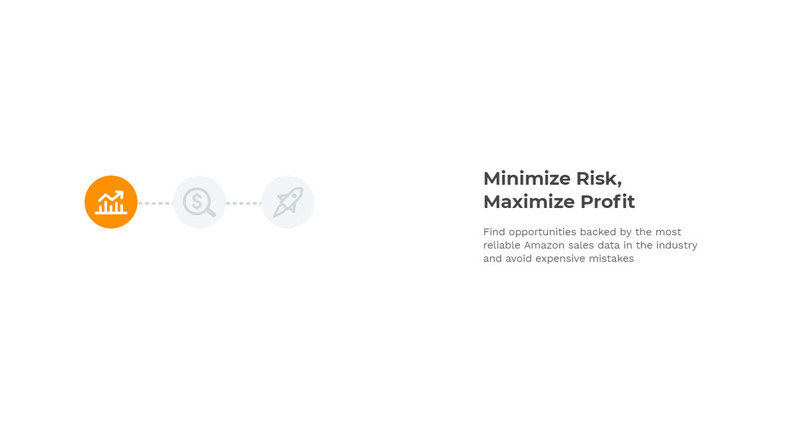 We capture over billions of data points from Amazon sales every month, and our team of Data Scientists constantly refine proprietary models based on that data. No other tool can say the same. If you need a hand, our friendly and knowledgable support staff are here to help, 20 hours a day, 7 days a week. Whether you’re an FBA newbie or a seasoned veteran, rely on us to answer all your FBA questions. Our customers tell us we have the best educational content on the web for building a sustainable FBA business. 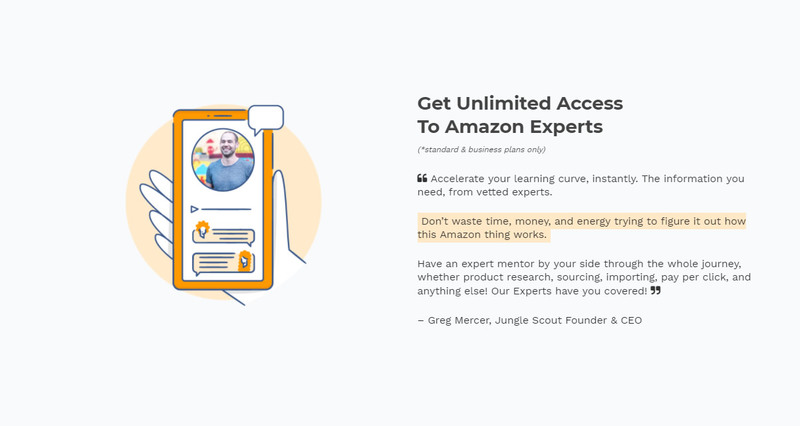 With our case studies, e-books, webinars and blog posts, you’ll always be ahead of the curve when it comes to selling on Amazon. And Jungle Scout supports more marketplaces! Get country-specific Amazon product sales data in markets including: USA, Canada, Mexico, UK, Spain, India, France, Italy, & Germany. 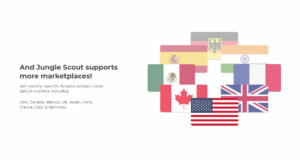 Which marketplaces does Jungle Scout Support? Both The Web App and The Chrome Extension have full support to the following marketplaces: Germany, France, Canada, US, UK, India, Spain, Italy, Mexico. 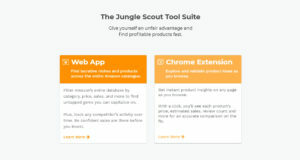 What is the Difference Between Jungle Scout Extension and Jungle Scout Web App? The Web App is a powerful toolkit that runs in the cloud on our own website. 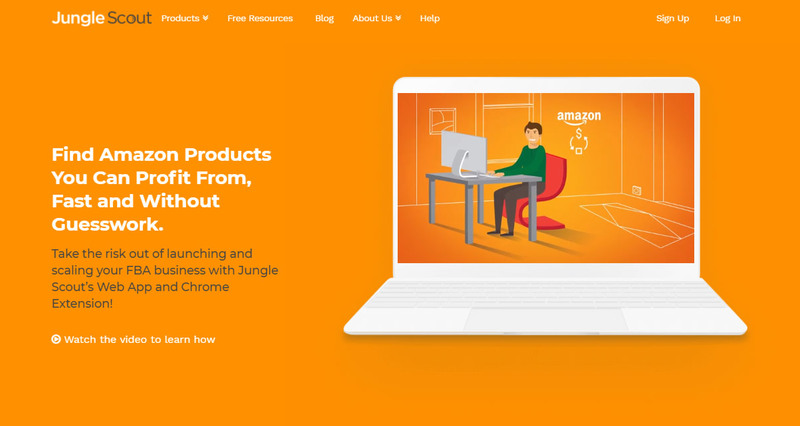 It has a suite of three tools; an Amazon product database specifically for sellers, a product tracker and the niche hunter. 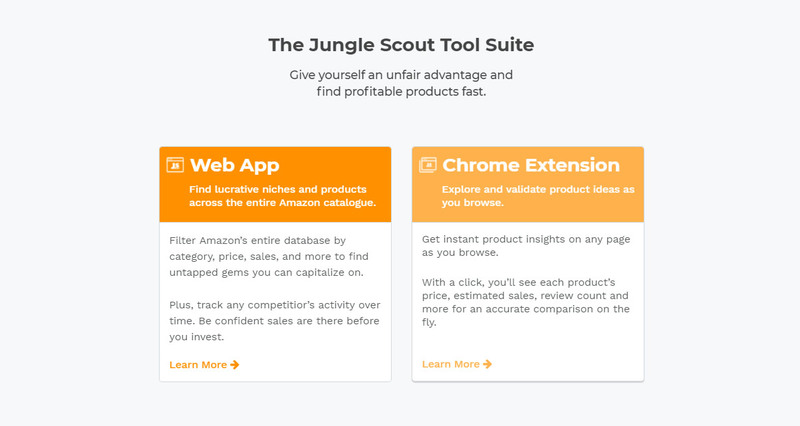 In comparison the Jungle Scout Chrome Extension runs by pulling data, including estimated revenue, directly from the Amazon website as you browse it. 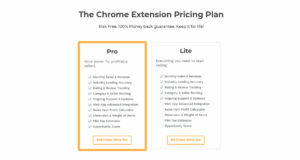 Can I own both the Web App and the Chrome Extension? Definitely. 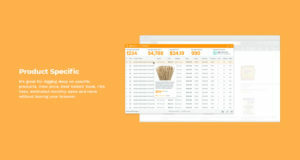 Many of our customers enjoy the benefits of being able to get data at their fingertips with the Chrome Extension, as well as the ability to track products and find new niches and product ideas via the Web App. 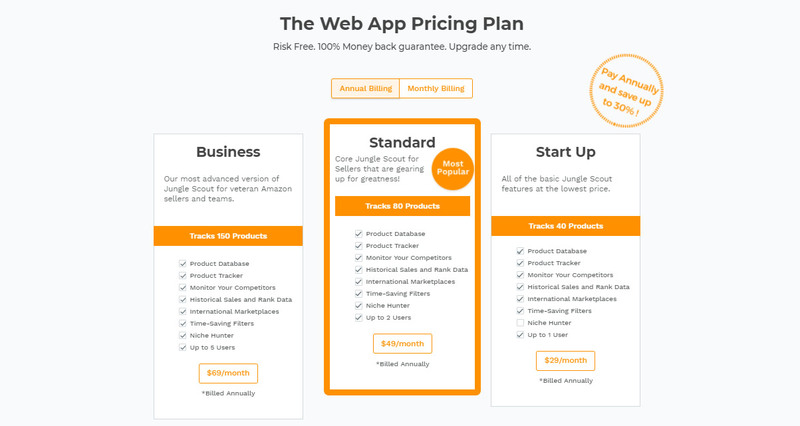 While we do not offer a free trial, we do offer a 14-day money back guarantee. If you decide the product isn’t the right fit within 14 days we will give you a refund, no questions asked. Simply email us at support@junglescout.com to speak to the team. Can I Use Jungle Scout on My Phone/iPad? Short answer, Extension – No, Web App – Yes. Unfortunately, Google Chrome does not support extensions on mobile devices (tablets/smartphones/ipads) at this time. 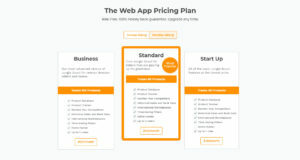 The web app is best viewed on desktop or tablets but is compatible on smartphones. Sure! We recommend checking out with Visa, Mastercard or American Express through your onsite checkout. 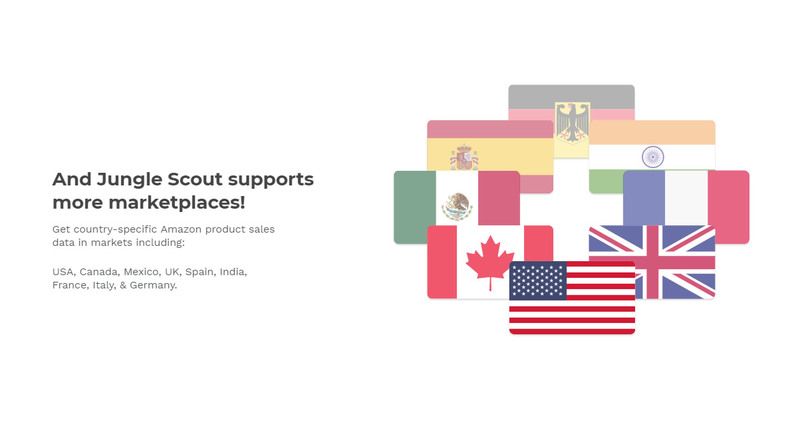 If you do not have a credit card, email us at support@junglescout.com and we can send you a paypal invoice. We don't have wiki content for Jungle Scout yet. Are you familiar with Jungle Scout? Please quickly share in your own words what Jungle Scout is all about! Share in your own words what Jungle Scout is all about.